PORTLAND, Ore. (PORTLAND TRIBUNE) -- More than half of Oregon's homeless spend each night without safe haven or harbor. That means Oregon ranks second across the U.S. for unsheltered homeless, topped only by California. 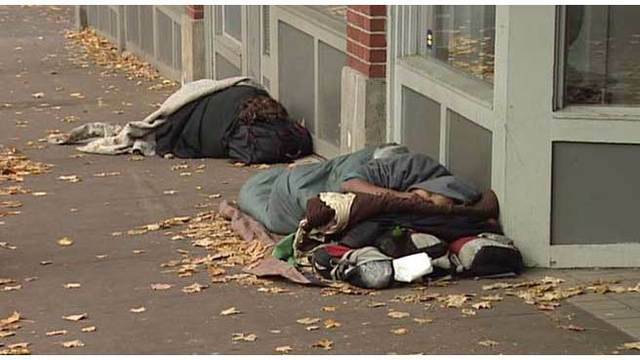 Oregon has an estimated homeless population of 14,476. The only states with higher tallies are California with 129,972, New York with 91,897, Florida with 31,030, Texas with 25,310, Washington state with 22,304 and Massachusetts with 20,068. The number of homeless living in Oregon has increased by 12.8 percent — or 1,268 people — since 2007. During the last count, 56 percent of homeless veterans were considered unsheltered. Of those considered to be chronically homeless in Oregon, 78.5 percent or 3,151 were unsheltered. The Portland Tribune is a KOIN 6 News media partner.